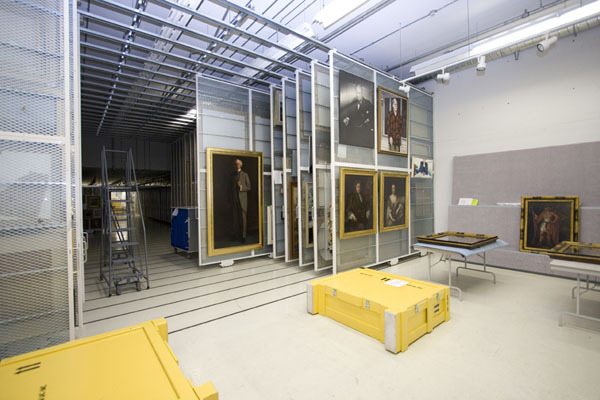 Preservation is a core activity at Library and Archives Canada (LAC). A large part of this preservation work is done at the Preservation Centre in Gatineau. 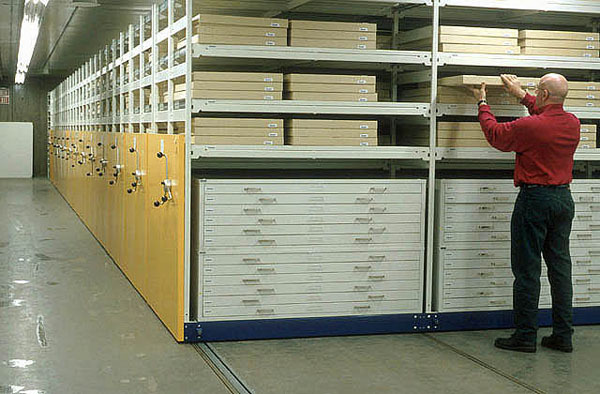 The Library and Archives Canada Preservation Centre opened in June 1997 in Gatineau, Quebec. Its facilities are dedicated to the preservation of the country’s documentary heritage. This centre of excellence provides collection storage areas with optimum environmental conditions, and laboratories equipped for preservation activities. Library and Archives Canada (LAC) has been given approval to plan and develop a new state-of-the-art preservation and access facility to be constructed adjacent to the existing Preservation Centre in Gatineau, Quebec. The Gatineau 2 Preservation Facility (referred to as “Gatineau 2”) is a solution to LAC’s ongoing and future needs for special purpose infrastructure that provides appropriate preservation and access space for LAC’s analogue archival holdings. For more details about this project, consult the Gatineau 2 section. Forty-eight vaults, at approximately 350 square metres each, house a variety of archival records and publications and offer four different environments. 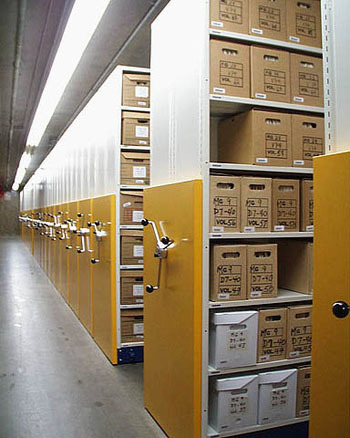 Vaults are designed to protect documents by eliminating potential threats, by a sophisticated fire detection and suppression system, and by carefully controlling all materials used inside the vault to maintain a contaminant-free environment. 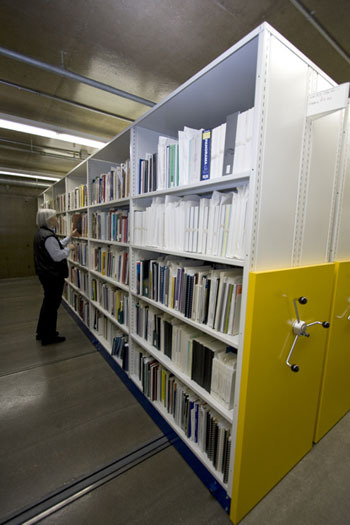 Books are stored on mobile shelving at 18°C (+/- 2°C) and 40% relative humidity (+/- 5%). (+/- 2°C) and 40% relative humidity (+/- 5%). 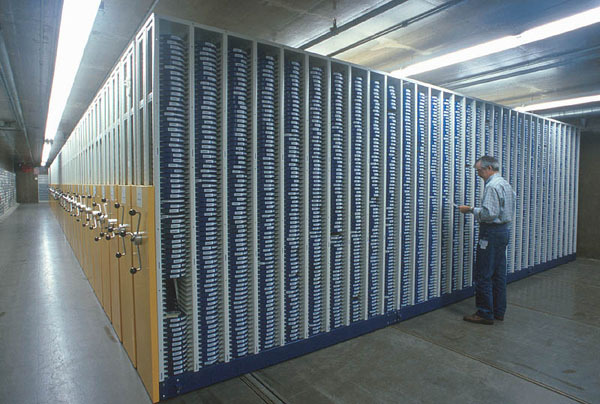 Black-and-white motion picture film in polypropylene cans are stored on mobile shelving at 18°C (+/- 2°C) and 25% relative humidity (+/- 5%). 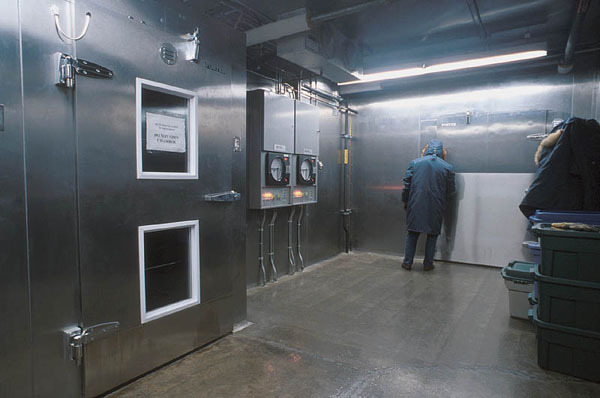 Ante-chamber of cold storage vault is used for colour and cellulose acetate motion picture film and photographs. (+/- 2°C) and 30% relative humidity (+/- 5%). 18°C (+/- 2°C) and 50% relative humidity (+/- 5%). Individual laboratories for conservation treatment, preservation copying of records, and digitization are constructed in a village-like setting, on the top floor of the building, directly over the three-storey vault structure. This enables Library and Archives Canada preservation experts to work together under the same roof.